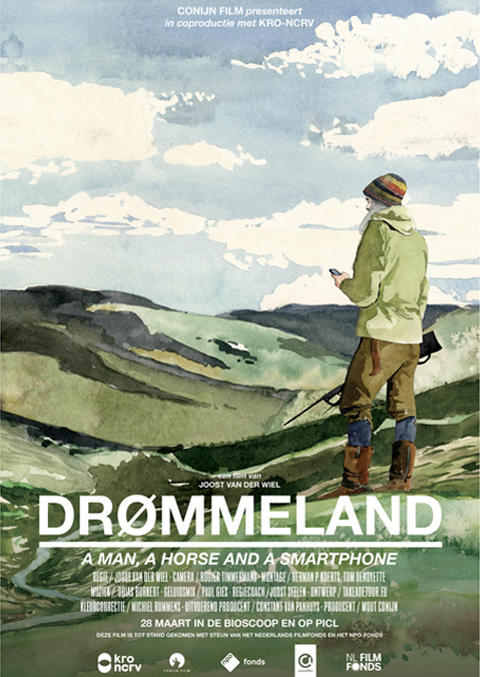 Poster for the new Joost van der Wiel documentary Drømmeland. The movie portrays the 60 year old Nils, who longs for an independent life in harmony with nature. He takes his refuge in a small wooden cabin in the mountains of Norway. Despite his effort to take distance from modern society he brings his mobile phone. There, surrounded by the rough Norwegian wildernis, Nils is being confronted with his desire for human contact. His urge to share about his isolation through his mobile phone seems irresistible. This documentary observes how Nils is trying to find the balance between being in contact with himself, nature and the outside world. You are currently reading drømmeland at takeadetour. robin k. & edmee d.